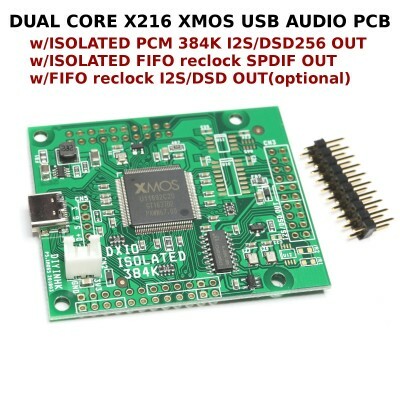 1) Newest XMOS XCORE-200 XU216 with 2 Tiles 16 Cores upto 2000MIPS real time processing power in dual issue mode. It is equal to two XU208 combined in one silicon chip, one dedicated tile is used for the USB data and the other tile is dedicated to process the audio data to the DAC. XU216-512 includes 4x more ram than xu208-128 and 8x more ram than the old BGA XMOS U8/U6. 2) The latest xmos xCORE-200 includes unique hardware divider and it is used to generate the I2S bit-clock from the oscillator directly(old xmos uses software divider). Asynchronous reclock usb audio data to I2S signal for all the modern DAC standard input. 6) OLED display is the latest technology with highest contrast, complete dark background, full viewing angle and it looks much better than the commonly used LCD display. *Full feature signed windows 7/8/10 driver(without 30 min. periodic beeps) support upto PCM384K, DoP DSD128 and Native DSD256 is available for purchase in the driver download area. 1. Windows 10(2017 Apr Update or later) includes built in usb audio 2.0 driver finally, this pcb can be used immediately after plug in to the computer without install any driver. 1. Two external individual regulated 3.3v power supply with two seperated ground is needed. The first one is connected to the 20pin header pins label 3.3vINx2 for the isolated side of the pcb. The second is connected to the 2.54mm spacing white JST XH header for the nonisolated side of the pcb. 5. This 384K PCB is pin to pin compitiable with our original BGA XMOS 384k PCB, user can replace and upgrade directly. 10. 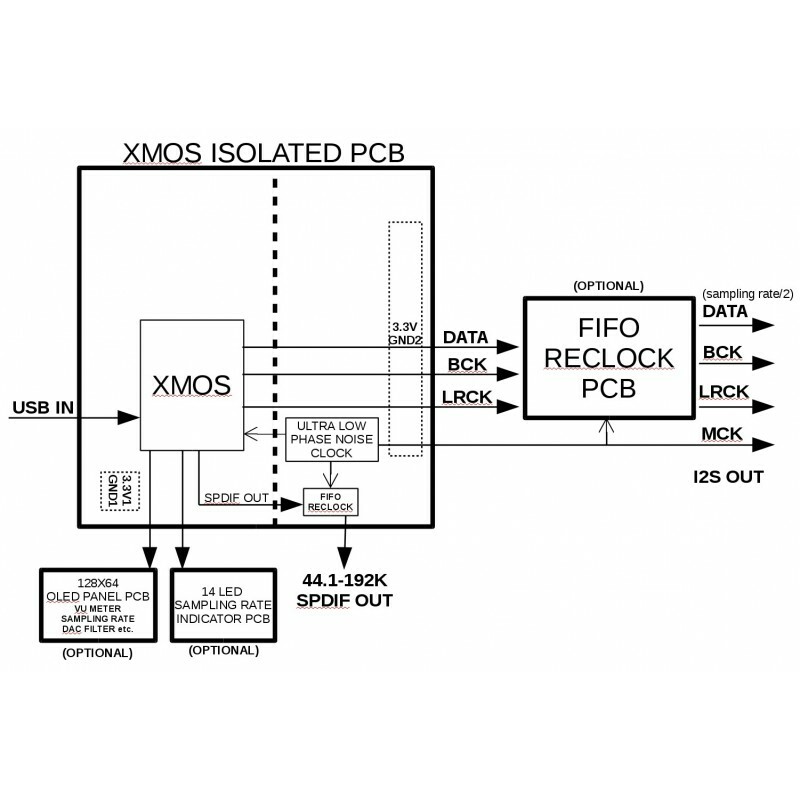 The maximum sampling rate output from the XMOS pcb is 384k, the optional FIFO reclock I2S PCB maximum sampling rate out is 192k. (i.e. The user cannot use the FIFO reclock PCB if they want to playback 384k sampling rate audio file. 2) The non-isolated side is powered by another dedicated individual external 3.3v 500mA regulated supply on the 2.54mm spacing JST XH socket. The ground paired with this 3.3v rail is seperated and it must not be shorted to any position in the system. 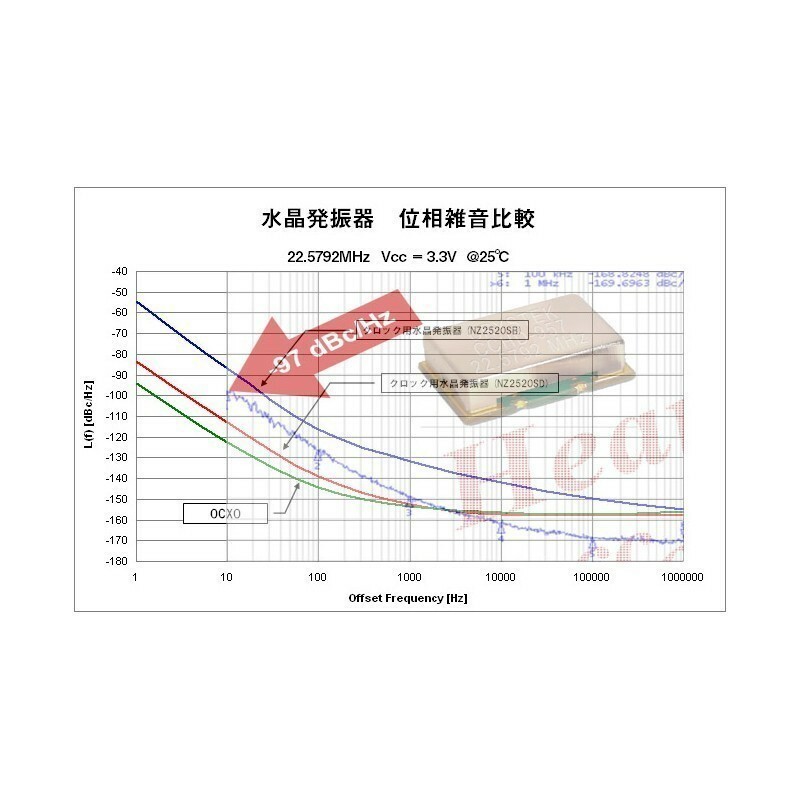 Do not short nonisolated ground or isolated ground to the metal enclosure, do not use centre tap transformer, do not short the rca socket ground to the metal enclosure. *OEM are welcome, large discount on volume pricing, free customized logo on the bottom right corner of the OLED display for large qty order.